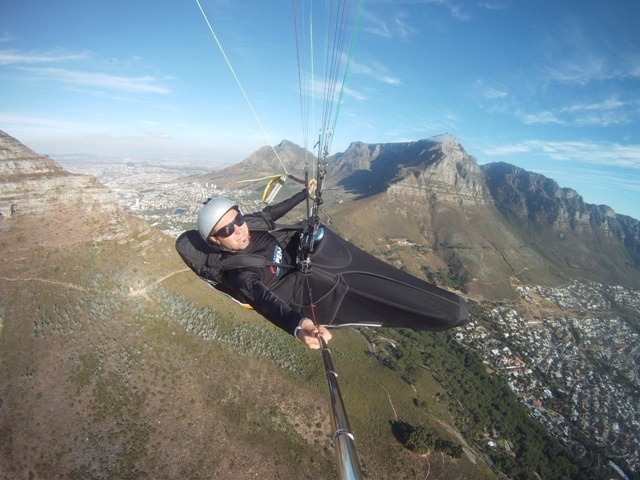 Paragliding is a majestic experience, but it can also be very humbling. And one of the dangers every paragliding pilot faces is getting blown out of control possibly into a cliff wall, power lines, or any other number of standing hazards. Take a moment to learn what to do when the wind picks up, and how to keep yourself flying safely for years to come. An ounce of prevention is worth a pound of cure, as the saying goes, and it’s just as true here. Avoiding being blown-back in the first place is your safest bet, and it’s usually not terribly difficult as long as you follow these tips. Naturally, the most dangerous threat is going to be turbulent wind, so gauge the local conditions before you take off. The use of instruments like anemometers (which accurately measure wind speed) may be more beneficial than going off on feel alone. But wind velocity can change on a moment’s notice, and the topography of the area will often lead to different wind speeds at different elevations (meaning that nearby mountains and cliff faces can pose unexpected dangers). For that reason, its always a great idea to look up the day’s forecast and to check in with local pros their knowledge of regional quirks is your lifeline. And, of course, keep monitoring conditions while in the air, and distance yourself from walls when ascending. b) if you have no forward speed is it better to turnaround and go over the back to a safer area with no hills or obstacles upwind of you. 2) Check your landing options, especially the options downwind of you. 3) If you can get to a landing field by pushing speed bar then do so. a) Check your altitude, will you be able to clear the mountain or hill without getting into the rotor. b) Try to get to maximum altitude before turning downwind. c) If you are not able to again altitude, pull big ears and try to land on the safest looking area on the slope. 3) Quick reactions are key here, stick with your decision. The single most important thing to do is to: Always check your groundspeed and continue to practice your wind monitoring techniques whenever you are flying.